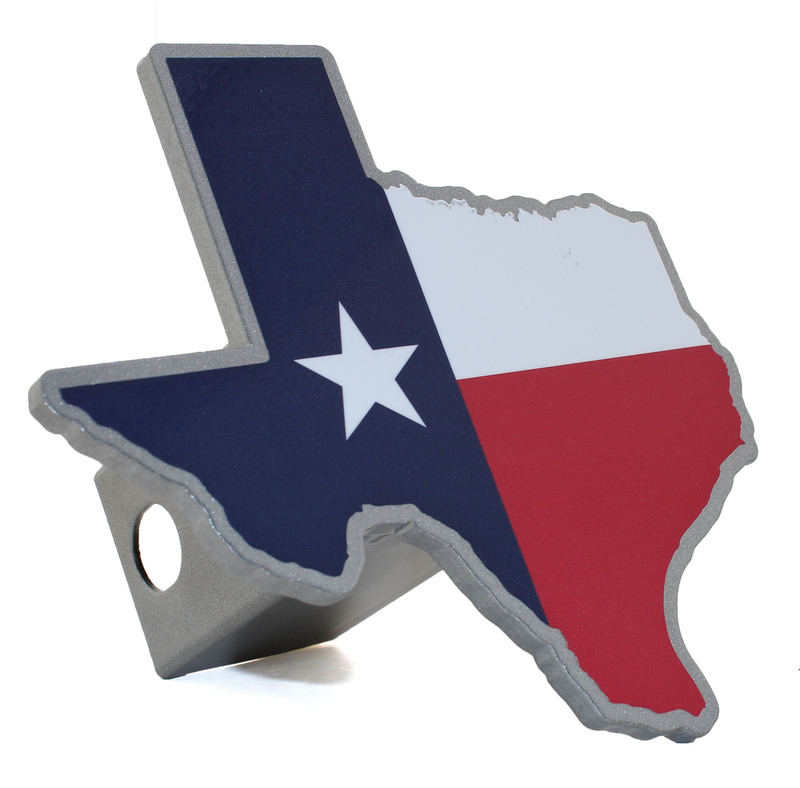 All metal silver powder coated hitch cover with Texas flag colors. Face plate made from heavy duty 1/4" metal. Approx. 6" tall x 6.5" wide. Fits 2in x 2in hitch receiver. Shipping included.